Electric Brake Controllers (EBCs) are the solution to a safer driving experience. Being an RV enthusiast who is on the road a lot gives you the responsibility to invest in the best brake controller to take your family’s safety on a higher level. An RV lifestyle is a fun and exciting way to live. This chosen life even becomes much better if you are confident on the road. And this can only be made possible with the right electric brake controller. Read on and get to know the top 5 brake controllers on the market today. What Are The Types Of A Brake Controller? An electric brake controller (EBC) is an aftermarket component that users wire into their vehicle. It activates a 12V power to the electric trailer boxes. Its main purpose is to activate a separate braking system embedded on a trailer that is hauled by a tow vehicle. The essence is to make the trailer brake when the tow vehicle brakes. Newer designs include a remote head which you can fit almost anywhere near you. The most ideal place is the vehicle’s switch blank while having the control unit underneath the dash. Traditional EBCs, on the other hand, is composed of a small rectangular box installed on some metal bracket on the leading edge of the lower dash or the lower steering column panel of your tow vehicle. The vehicle’s battery powers the brake controller and you activate it by pressing on the brake pedal while you are driving your tow vehicle. The EBC is wired into your vehicle’s brake light switch circuit. That way, the brake controller activates the moment the switch turns on the brake lights. Without the EBC, the trailer brakes won’t activate. It’s like the brain behind this process. One thing to clarify – the EBC does not interfere with the main braking system of the towing vehicle. Once you press the brake (which activates the brake light), the controller feeds a current through the trailer plug back to the caravan brakes. In the old times, brake controllers consist of only hydraulics. Old trailer systems work by tapping into the brake hydraulics and vacuum system of the towing vehicle. Today, the concept has already been considered obsolete. Note: Do not be so confident that a brake controller has already been installed when you purchase a vehicle having a heavy duty tow bar. The principle of an Electric Brake Controller (EBC) is not that complex. Its mechanism can be explained with a similar situation. Imagine you are roller skating at the rink with a bunch of your friends. Visualize yourself starting a train, with all your friends at the back in a single file – each of them holds onto the person in front of them. As a group skating in a single row like a train, you now have the same momentum while circling the rink and your line will travel along safely as long as each of you skates at approximately the same speed. Now imagine you already want to stop the caravan and have decided to take a break. You, as the person at the front, must send a signal to all your friends behind so you must work in coalesce to slow down at the same time. That’s the best way for your ‘train’ to stop. Each skater must stop at about the same time to keep any collision from happening. If you, as the person in front, suddenly stops without signalling the rest of your friends, the train’s momentum would cause the skater next to you to crash. The same exact thing will happen to the third in line and so on. The full force of train’s thrust that is suddenly put into stop would produce a massive pileup of the succeeding skaters. Even worse, you might as well trip other skaters around causing further damage. The same principle can be applied to a truck that tows a trailer. The truck will have a hard time slowing down due to the extra load behind. This is where an electric brake controller comes into the picture. Once the driver presses on the truck’s brake pedal, the EBC is smart enough to command the trailer’s brake system how much brake power is necessary to put the trailer into halt. EBCs can also be installed into smaller pickup trucks and not just the large trucks. This is beneficial when you want to haul a camper behind. Ultimately, an EBC is a real MUST-HAVE for every person owning an RV. This one from Reese is a certified 100 percent solid-state electronic. This model is designed for use with up to four axles. The Reese Towpower is a proportional trailer brake control – which is a big plus. This means it can offer a highly responsive braking mechanism. It comes with an embedded sensing device that quickly reacts once you engage with the pedal. This means you have a real-time brake reaction making you confident that your tow vehicle and trailer will have the smoothest deceleration possible. Since your vehicle and trailer stops at the same rate, this one also promotes a decreased stopping distance. The Reese Towpower comes with a digital display that tell you the voltage power amount that is directed to the brakes. Moreover, the digital display helps in adjusting the trailer brakes for highway or city driving. 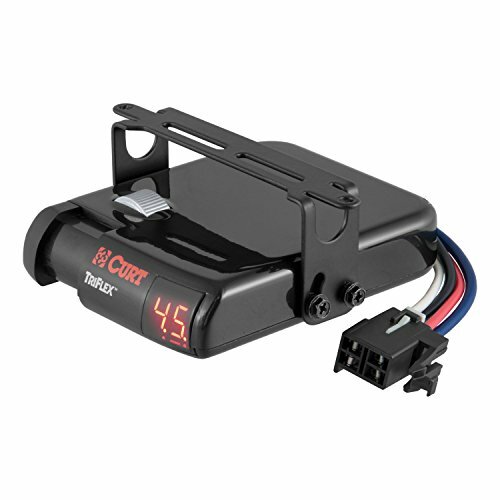 This device gives you an accurate access to your trailer brakes for a more controlled braking scenario. Another good thing about this model is it can be used in multiple vehicles – no brackets or any drilling involved. Further, it has a separate push button adjustment controls for a more convenient management over the speed of activation (sync) while also putting the weight of the trailer (output) into the equation. Overall, the Reese Towpower is a must-have proportional EBC. The only downside is the expensive harness (if you need it) that comes at a price almost at par with the controller itself. 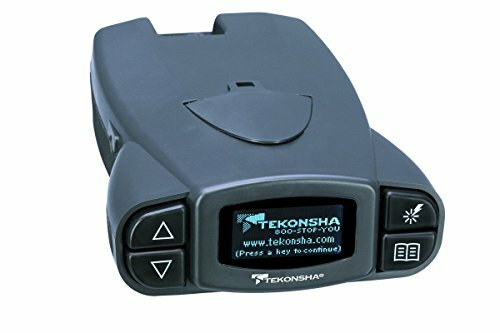 In that case, you can go for another brand like the Tekonsha 3020 (3020-P) like some owners recommend. Now this one’s another reliable EBC. The P3 is the manufacturer’s pride for having additional features that make it an EBC-standard. This model is one of the most advanced electric brake controllers on the market. The unit is quite compact and can easily fit any dash. It has a boost feature that lets you choose between ‘electric trailer’ or ‘electric over hydraulic’ brake mode. Its LCD alone stands out from its competitors – it displays multiple screen color and easy to read at the same time. Impressively, you can set the display into the language of your choice whether Spanish, French, or English. This EBC comes with up to 5 storage setting options, meaning you can use it on five different trailers while maintaining your preferences for each trailer. No more hassle in setting the EBC from scratch. The P3 is also fairly easy to use. You can easily comprehend the displayed diagnostics – output voltage, brake, battery, and output current. Moreover, it provides you the most convenient way possible to access all its features through the up-front controls. The P3 even alerts you in a no-trailer-brake situation with a flashing red warning system. Another thing to like about the P3 include the snap-in mounting clip that lets you store the controller when not in use since you can easily remove it. The P3 also has an embedded plug-n-play port for two-plug adapter. The Draw-Tite 20191 is your best bet if you want something in between the Reese and the Tekonsha. If your budget can afford something a little more than the former but don’t want to exceed that of the latter, then this model is ideal. However, it’s not really the price that matters when it comes to the safety of your family. The I-Stop EBC can be used with up to three-axle trailers. It has a so-called boost feature that can operate proportionally in reverse; so backing with this thing is easier. The same feature gives you the power to apply more initial trailer braking in situations where you haul trailers with a massive weight. This one is a little bit more distinct because it comes with an LED display that would try to compete with its LCD counterparts. When issues arise, the self-diagnostic features will activate the LED, letting you know of the problem. The I-Stop is a full proportional electric trailer brake controller. You don’t have to do any level adjustments as it can adjust by itself. Additionally, it also has a snap-in mounting clip so that you can easily remove the thing and store it when necessary. Now this one comes with a triple-axis motion-sensing accelerometer. This device is so sensitive it can give you a real-time response when you access the brakes. This means you’ll have smoother stops all the time thanks to its responsive nature. 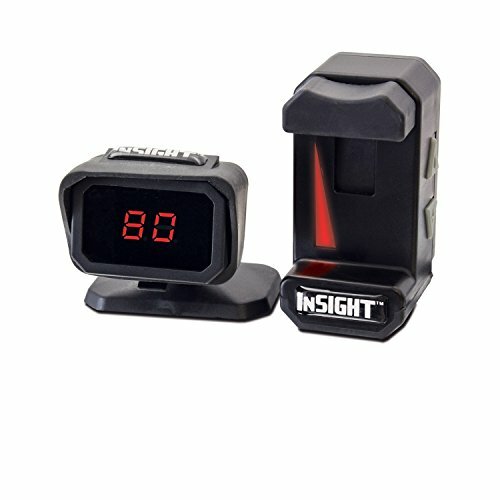 It even has nine levels of sensitivity that monitors various driving conditions as well as varying load weights. This model is the crown-jewel of the brand’s brake control line-up. The TriFlex is an inertia-based brake control meaning the trailer have a matching brake intensity with the towing vehicle. Installing this CURT is quite easy because you don’t have to do any calibrations and levelling because it can do that automatically. The only thing you’ll get yourself busy with are the quick plug harnesses. It can be mounted at any angle within your dash but it’s more advisable to place it somewhere on the right side or left side of your steering column (below the steering wheel). That way, it is highly accessible without blocking your view while driving. The third axis offers you more dynamic power adjustments that comes quite useful when you are battling a slope. For instance, the third axis comes in handy when you are going up or down a hill road. Another good aspect is it can give you the ability to select the power output and gives you access to the brake light. This one’s an advanced brake control and you can easily tell by its looks. The Hopkins 47297 can make smooth stops and flawless braking scenarios. It works well both on hydraulic and electric brake vehicles. This Hopkins comes with an advanced proportional technology that perfectly mimics the braking intensity of the tow vehicle. The result is a smoother and safer braking and stopping for up to 8 trailers. Further, you can install this one with ease – no drilling required and you can place the components where you want them. The Insight is so versatile that it comes in three components – the smart box, flex control, and the flex display. The flex display allows you to focus on the road more because you can mount it right above the dash so switching your vision can be done in a split second. Impressively, you won’t have to sacrifice easy access because the flex control is a separate component which you can mount somewhere strategic. This is really a smart design and is quite an advantageous aspect against other EBCs that combine the display and controls in a single component. Hopkins aim to revolutionize the brake controls to be at par with the truck’s evolution. And the Insight is Hopkins’ culmination of its goals; the manifestation of the advancement that the consumers need. This model puts an end to all previous issues that drivers usually encounter; this may include difficult to see displays, inaccessible controls, and troublesome mounting. Now you can install an EBC with absolutely no tool needed. And the unit is separated into three components so you can place them right where you need them. EBCs come in various styles but they can be categorized into two – time delayed brake controllers and proportional brake controllers. This type of EBC gives a pre-determined amount of brake power to the trailer when the truck stops. It is the driver who will set the power beforehand depending on how much his trailer weighs. There will always be a delay once you press the brakes; however, you can adjust the duration of the delay through a sync switch. 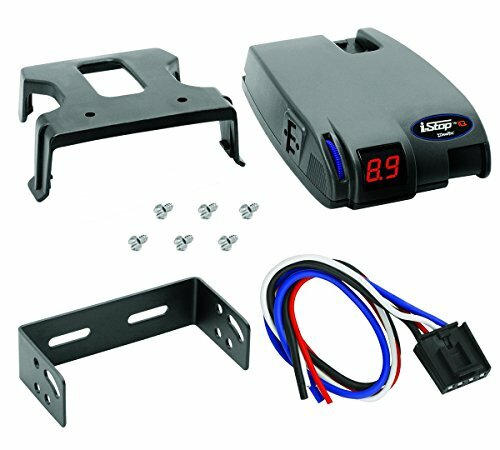 Time delayed brake controllers are easier to install than its counterpart and relatively less expensive. The only downside is they expose the braking systems into more wear. This type of EBC utilize a sensitive motion-sensing device capable of determining how fast the tow truck is stopping. It automatically senses once your tow vehicle is starting to slow down. Simply put, it mimics the braking speed of the main vehicle and applies the same speed to the trailer. The device applies the brake the moment you press on the pedal. If the truck stops slowly, the trailer will stop slowly. If the truck stops fast, the trailer will also stop fast. This type of brake controller is more efficient and more effective than the previous type because it replicates the braking intensity of your trailer’s brakes, making the two systems exert the same work. This means less wear on your braking system. One of the most important factors is accuracy. Your EBC must be precise in delivering you the braking prowess you need at the moment. The trailer must receive the right signal when you press on the brakes, allowing it to work properly at the exact moment. This is also the reason why we feature only proportional brake controllers. Real-time reaction is the key to the smoothest braking scenario possible. Remember the ‘train’ example a while ago? There’s no better way to stop the trailer than to make it brake and stop at par with the towing vehicle. On the other hand – imprecise handling makes stopping unpredictable, consequently putting you in a grave situation. The display is a vital component because it’s your window to seeing how the system is doing. It shows you the settings, as well as the error messages that you need to be notified about. The display can either be an LCD or LED. Regardless of your display type, what matters is the readability. Make sure the display is clear enough for you to see what’s on the screen. There are some EBC models that can impressively display multiple colors for added convenience and style at the same time. There are even displays you can configure into different languages – which is a big plus. The display holds a significant role in the overall system of your EBC. With that, make sure they are in sync with the brakes so they can show you what needs to be shown without any complication. In case you figure out your display is not working properly, the ideal thing to do is to reset the unit. Now this one’s a real crucial factor. The type of controller you choose decides your fate on the road. You are given two options – Proportional EBC or a Time-Delayed EBC. A Proportional EBC analyzes the braking intensity of the towing vehicle while simultaneously sends signals to the trailer to apply the same braking input. Simply put, it replicates the tow brakes so the trailer can do the same. That way, the tow vehicle and trailer will slow down and stop at the same time. On the flipside, a Time-Delayed EBC sends a predetermined rate of braking intensity to the trailer. The way it brakes doesn’t depend on how the tow vehicle does it. A Proportional EBC is the better option because it’s the only way to have a smooth braking experience. The timed-delayed promotes more wear and tear, making it totally unideal in most applications. Note: There are already brake controllers that feature a sync or time-delay option. Of course you would want to save your hard-earned cash and would rather install the unit yourself without hiring a professional. And it’s totally possible. However, you may have to choose controllers that already have mounting brackets and screws in the package. You may also have to separately find an adapter compatible with your make and model. The adapter connects the controller to your vehicle’s wiring system. It’s wise to have an EBC that you can use frequently. A proportional type is up to the challenge. This type of EBC is ideal if you are on the road more often. Proportional EBCs are versatile and can tackle diverse towing conditions – be it up on the hill or down the slope. Time-delayed brake control will always have the same braking power all throughout, making it ideal for a casual user. However, nothing replaces the versatility of a proportional type. Now here’s one thing a time-delayed controller can boast. When it comes to mounting, this type can be placed in any angle and position; while proportional EBCs require a more complex mounting – such as levelling and calibrating to the right angle. Fortunately, today’s technological advancements have also evolved brake controllers. The products in this article can already calibrate and level automatically, sparing you the trouble of doing it yourself. The most essential factor probably is safety. A proportional EBC fundamentally provides a higher level of safety compared to the time-delayed counterpart. A proportional controller can ramp up to its full power if the tow vehicle suddenly makes an emergency stop. You can never define safety without an EBC. It’s time to give you and your family the safety you all deserve. And that is only possible with the best brake controller. You already learned a lot through this page and it’s time to put that knowledge into use. Choose your next EBC now.